Manufacturing Of Detergent Cake, Dish Wash Rounds And Detergent Powder. I am N.Nagamuni Reddy, completed B.tech( Mechanical). Currently I am running a Small Scale Industry near Tadipatri, Anantapuramu(dist). 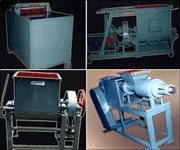 We are manufacturing Detergent Cake, Dish wash rounds and Detergent Powder(surf). We succeed in local market and also we are doing job works for 2 repudiated companies. Unfortunately, due to some personal and financial problems, I want to sale my industry including running condition machinery with warranty and raw material. If any one( its better to start partnership with 2 or 3 persons) interested in this field, who can invest around 15 to 20 lacks, can give me reply. I will give you full support for registration, installation, production for high and low quality and my running market.